In my Creative Space lately I have been working on a bit of crochet. Unfortunately, I've also noticed that I accidentally seem to have bought some white and some cream wool which looked very similar in ball form but which are two very different colours in rug form. Personality perhaps? 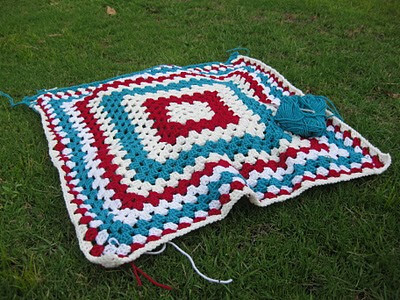 It's lovely and I think it will be a great baby rug! !